[rtl]Drive Snapshot creates an exact Disk Image of your system into a file, including the operating system, installed programs, your data and all security attributes – while windows is running and you continue to work. 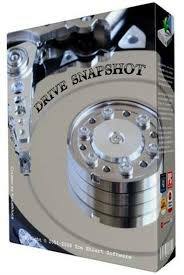 Drive Snapshot it allows you to backup your partition or your hard disk drive and it also can create a disk image of your system. If disaster strikes (a virus, trojan, or hard disk crash), a complete and exact restauration of your system will be possible in only few minutes. The image file can be mounted as a virtual drive, so you can easily restore (or use) single files or directories, using the Windows Explorer, or other program.